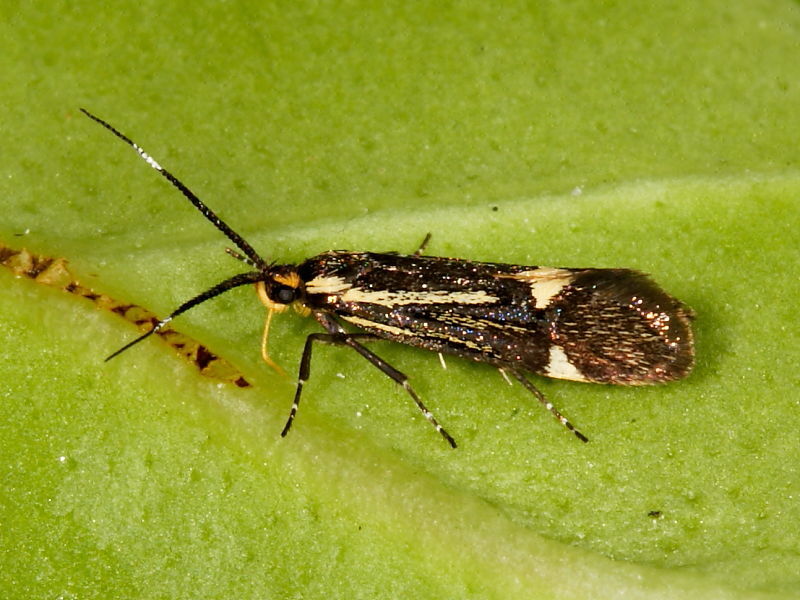 The tiny moth Esperia sulphurella can easily be overlooked or dismissed as a tiny brown moth. With a wingspan of as little as 12mm and an overall brownish colouring this is understandable. However, on taking a closer look, or better still, when viewed through a macro camera lens and later seeing the image blown up on a computer screen, this species can be seen as being anything but dull. The one shown to the left was seen last week on the cliff top above East Kennack Sands on the Lizard Peninsula. Esperia sulphurella flies during the day between May and June and is probably more common than records suggest. 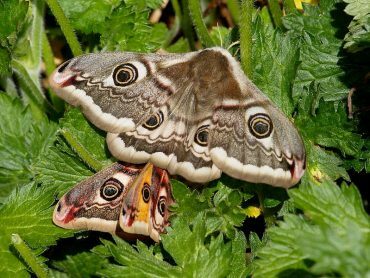 The larvae feed on the dead and decaying wood of trees and shrubs. 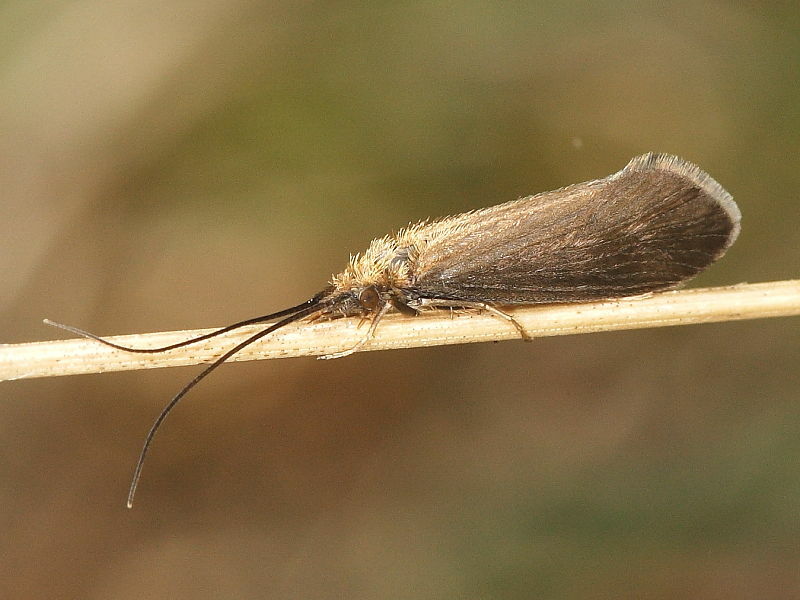 A good identification feature are its long, white banded antennae which it holds forward, a feature shared by some caddis flies (see right).